For this article, I will cover the changes from the original 3DS. For the Majority of this Article the improvements introduced to the NEW 3DS, also added to the NEW 3DS XL. I will note when there are exclusive components. The NEW 3DS is not the next generation of handheld hardware release by Nintendo, this is more of a update to the existing hardware. And both NEW 3DS and NEW 3DS XL uses similar internal hardware as the 3DS, 3DS XL and 2DS, but only more powerful and with more working memory. This means that anything that the old 3DS could do, the NEW 3DS can also do. But there are differences for a few games that have support for the NEW 3DS. To date the only Game to date that requires the NEW 3DS is Xenoblade Chronicles 3d. Other games such as Smash Bros. for 3DS has support for new features, but can be played on the original 3DS. From out the box, the NEW 3DS can use and display 3D Video from websites. The old 3DS needed a 3rd Party program on a PC to get 3D video on to the 3DS. The Web Browser app is faster, and is able to do more, than the original 3DS Web Browser app. Sadly, as most 3DS games where made before the NEW 3DS was announced and can not use the NEW 3DS hardware. In Pokémon X and Y, a noticeable frame rate issue isn’t resolved with better hardware. The biggest difference that people will see with the New 3DS is that a grey “button” has been added to the right of the screen. This is named in Nintendo press releases as the the C-Stick, and is not a button at all. This allows a second analogue controller, similar to the right stick on most console controllers. Unlike the Right stick on most game consoles, the C-stick is not identical to it’s left hand partner, in this case the Circle Pad. The C-Stick itself is rubber “nub” that similar to the older laptop used to have instead of a mouse. It’s little tricky to understand how it works until you try for yourself. The Home Menu allows you to move the selected option with the C-stick, so you don’t have to rely on finding a game that uses it, to see if it works. In addition to the C-Stick, is the introduction of two new Buttons on the back, “ZL” and “ZR”. It seemed a little weird at first given that the buttons are set in line with the L and R buttons that have been there since the original DS and 3DS. However with my hands, I can Press ZL and ZR with my index tips while L and R nearer a knuckle on my index finger. It may sound a cumbersome, I find it is not. It’s actually no different to how I normally hold the DS and 3DS. Like with the C-stick the ZL and ZR buttons scroll the bottom screen on the Home menu. Rear View of the NEW 3DSm and the 3DS, with CPP attachment. Most 3DS games do not support these new buttons or the C-stick. However a selection of older game actually support the new buttons, as they Supported an 3DS addon: the Circle Pad Pro. This addon as shown a comparison shot, adds a Circle pad to the right of the console while adding two more buttons ZL and ZR. Any game that used to support the Circle Pad Pro now can use the new buttons on demand. In European eShop, there is at least one “free to play” game available for download (Steel Diver: Subwars), and at least three demos, that support the Circle Pad Pro. All three games can use the NEW 3DS’s new C-stick and buttons. (Monster Hunter 4 Ultimate, Metal Gear Solid 3D, and Resident Evil Revelations. The latter two games have Console Versions.) Super Smash Bros. for 3DS Demo is the only Demo that is actually aware of the NEW 3DS, and will take advantage of of the hardware improvements and the new buttons. One new hardware improvement which I found to explain is the “Super Stable 3d”. It uses face tracking using the internal 3ds Camera, and an updated 3D screen to place the 3d Sweet spot where your face is. Keeping your head in the old 3DS and 3DS XL 3D sweet spot was hard to maintain over a significant amount of time. This trouble keeping your head in the sweet spot generally resulted players turning the 3d off for extended periods of time. The only hint that it was even on is the infra-red light next to the camera glowing faintly. This feature works well for almost every 3DS game released. If the 3d is turned off, or the game does not use 3d, the super stable 3D turned off. If that was hard to understand, the 3D effect works on the NEW 3DS as it should have been. If you thought the 3D effect was a gimmick, try the NEW 3DS yourself, It’s one of the new functions that I actually recommend trying for yourself. It is not perfect, it may look wrong until it finds your face again, which is usually in a fraction of a second. Like the 3DS, 3DS XL and 2DS, the NEW 3DS is compatible with almost all the older DS games that came before the 3DS. Only games that require an attachment in the Gameboy Advance slot do not work. Out of my personal collection only 4 games do not work, while a 5th is forced to limit the experience for the lack of an attachment. While several other DS games did gain additional benefits using Gameboy Advance games, but Gameboy Advance game is not required to play. As the Camera was a Feature added for the DSi, only a few DS games where built to be aware of the Cameras and may use them. I am only aware of 5 DS games that use the cameras. Most of the games used the cameras for video conferencing. Sadly, almost any online component of any DS game is no longer working. This not down to the NEW 3DS removing functionality, but due to online servers required to play being removed in May 2014, before the NEW 3DS release in October 2014. While playing a DS game, the NEW 3DS can still use Local wireless connect the correct games and appropriate hardware. Just to make clear that that any 3DS game will able to go online for some time yet, as well as local wireless connection. The Chargers used for the NEW 3DS is the same model that has been on the DSi, DSi XL, 3DS, 3DS XL and the 2DS. Sadly, the NEW 3DS and NEW 3DS XL don’t come with Chargers on the box. If you do not have a charger you will have to purchase one. A new charging dock, which I obtained in the Ambassador Edition while not necessary, can only be used on the NEW 3DS Model. The old Charging dock sold with the 3DS hardware is incompatible. As the size of both NEW 3DS models have changed from their predecessors, many attachments and cases will not fit. The Circle Pad Pro does not let the NEW 3DS slot in. 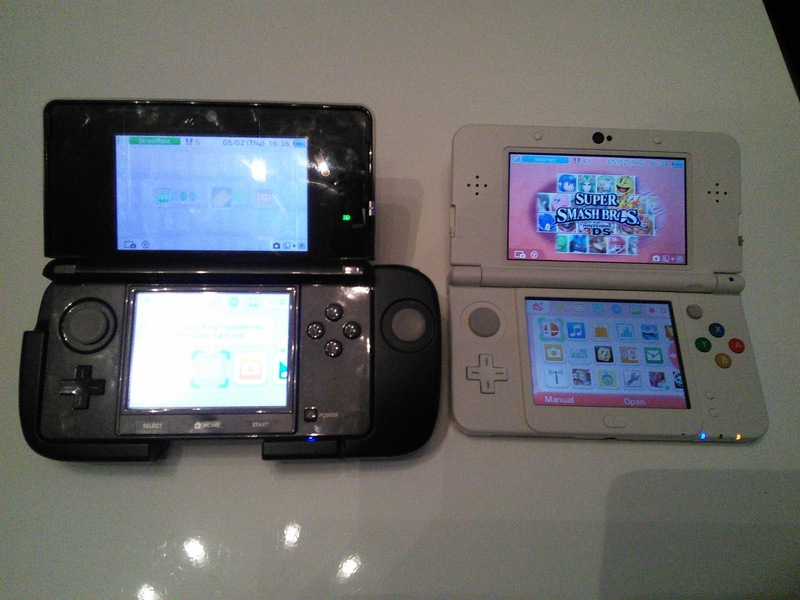 According to Hardware modders, the NEW 3DS won’t support the Circle Pad Pro if a device was made to fit. The NEW 3DS and 3DS XL use Micro SD cards. This is a smaller version of the SD card which was used in the 3DS. The Mirco SD card with a cheap adapter, usually sold with the Micro SD card, can fit in SD card slots. Both SD cards and Micro SD cards are used in Camera and Smart phones, so finding a larger card isn’t too much of an issue. The provided Micro SD card is 4GB, which is plenty when you are using Physical 3DS cards for games, as Photos and Steetpass data is kept on the Micro SD card. Unlike the Sony’s Playstation Vita where the included 4GB card was often almost filled with 1 Retail game. On the 3DS, many downloadable retail games are under 2 GB to begin with. Both Majora’s Mask and Monster Hunter 4 Ultimate hardware and software bundles will allow you to have more games on the included memory. Using data already released, I worked out that it is possible to fit all 8 Zelda games on the 3DS using the Memory card included. Monster Hunter 4 is a larger beast and fits in to about 2GB. Unlike the 3DS, 3DS XL and 2DS, where the SD card was hidden behind a flap, the Micro SD card is hidden behind the screwed on Back Panel. Nintendo has made it so that the NEW 3DS can act like a Network drive, after being set in that mode. Unlike other digital game stores, where you can get your Digital games on another system as long you have your log in details and follow the other rules that vary between stores. Nintendo Network ID (NNID) only allows you to log in to one 3DS console and One Wii U console. You can not remove your NNID from one console then add it to another without using the transfer system. While not required for a 3DS, your Digital games will be effectively tied to your 3DS, even with a NNID. The Transfer system can move your games from one system to another, but the target system be wiped if there is a NNID already installed. For the hardware bundles I’ve mentioned above, you should not add a NNID to a NEW 3DS if you are planning to transfer your Games from another 3DS. The Transfer system does require internet access and strongly recommend having both systems on charge or fully charged before hand. You actually need both systems to transfer. 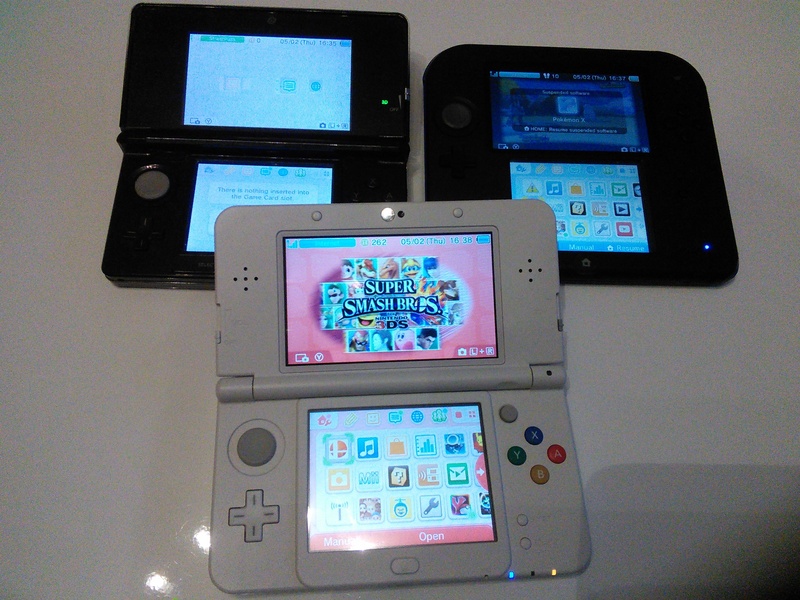 The NEW 3DS and 3DS XL does add a new restriction, you can not transfer from a NEW 3ds to the old 3DS or 2DS. This not really an problem with the hardware, but more of an issue with Nintendo’s system, and as long you can work in the limits it’s not a problem for many people. 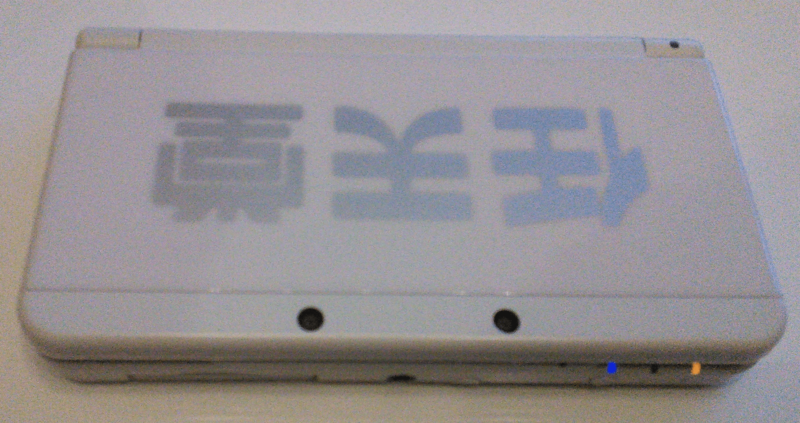 On the NEW 3DS only, are replaceable Face plates that can be change almost on demand. The top screen face plate is held in, while the bottom face plate is held in place with screws. Both will not come off by accident. The “Nintendo” and “Smash Bros.” face plates I have received look good, but happen to be both Silver on white. Late last year Nintendo release series of NFC figurines, Amiibo that do their thing in certain games. Saldy, No games in Europe support Amiibo as the time of writing this article. The NEW 3DS and NEW 3DS XL systems can read the user data and wipe the existing data on Amiibo, after it is placed on the bottom screen. While NFC reader technology can be used to as method to add funds to a online store account, it’s currently not set up on the NEW 3DS. It has been used on the Wii U with a single Japanese provider. 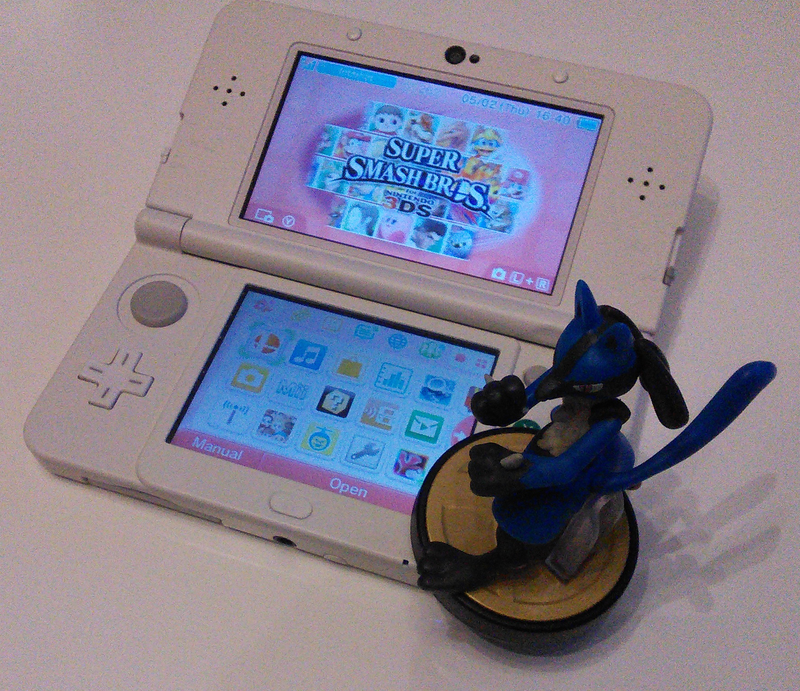 NEW 3DS with Lucario Amiibo. + C Stick, ZL and ZR buttons, which Support for Circle Pad Pro games. – Older cases no longer fit. – Micro SD may catch out existing 3DS owners. – Games must be programmed to support the NEW 3DS, or the Circle Pad Pro, to take advantage of the new hardware.